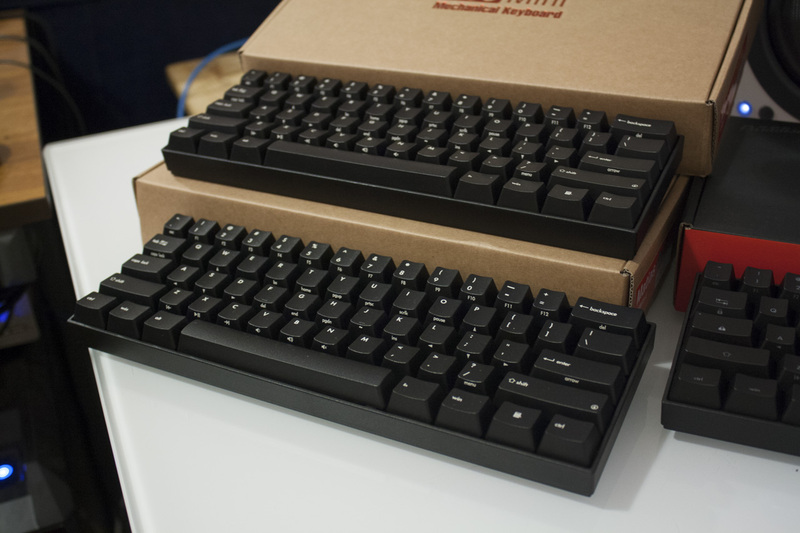 We recently added a trio of 60% size compact mechanical keyboards to our shelves. 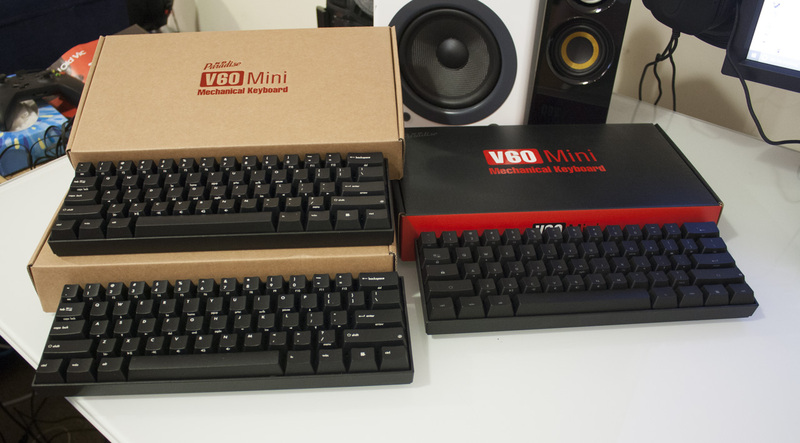 These are the KB Paradise V60 Minis, available with three different switches in the USA layout. 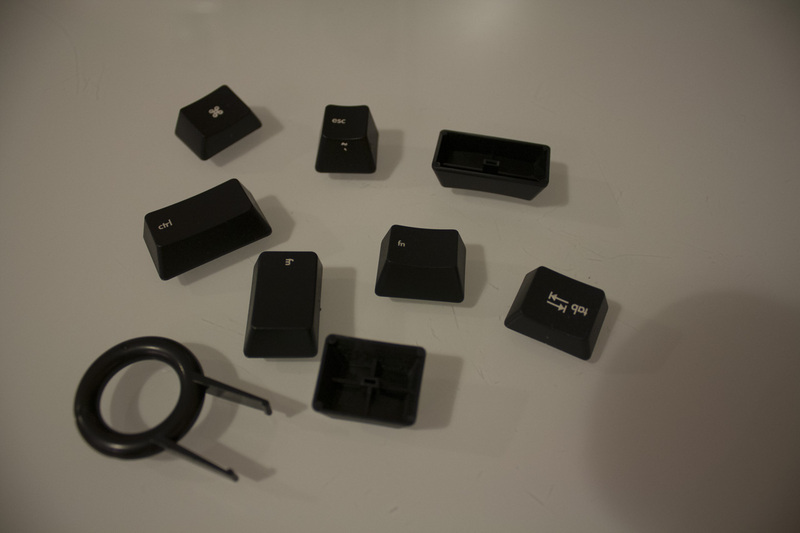 You have a choice of the rare Cherry MX Clears, stealthy Matias Quiet Click or retro Matias Click switches. I was lucky enough to be able to try all three, so here are my impressions! 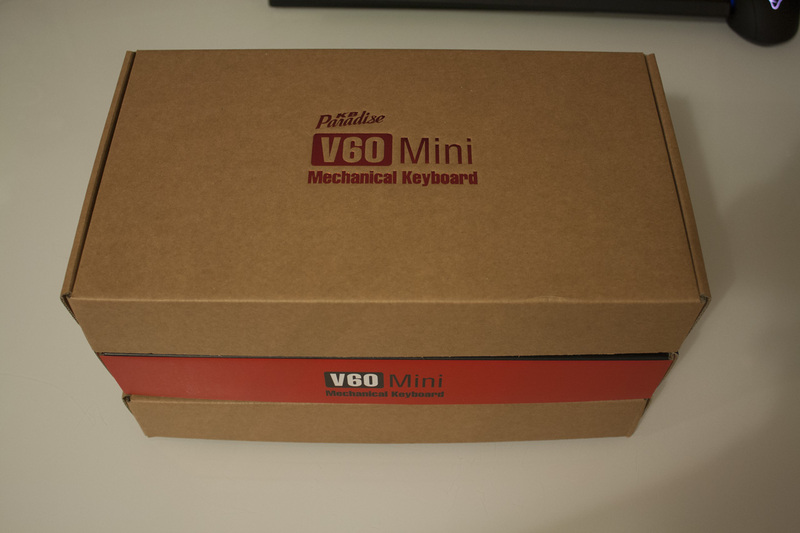 The KB Paradise V60 is a simple but attractive compact keyboard, one that drew a cute chorus of ‘aww!’ when it was pulled from its equally tiny cardboard box. It measures a little under 30 centimetres across, 10 centimetres down and 4 centimetres deep. Compared to a normal keyboard, there are no dedicated F keys (F1 – F12), arrow keys or navigation keys (Ins/Del/etc). Instead, these are accessible via a Fn layer; the top row becomes the F keys, arrow keys are on “WASD” and the navigation keys are on the right side of the keyboard. The Fn layer also contains media keys, allowing you to adjust the volume or change tracks. 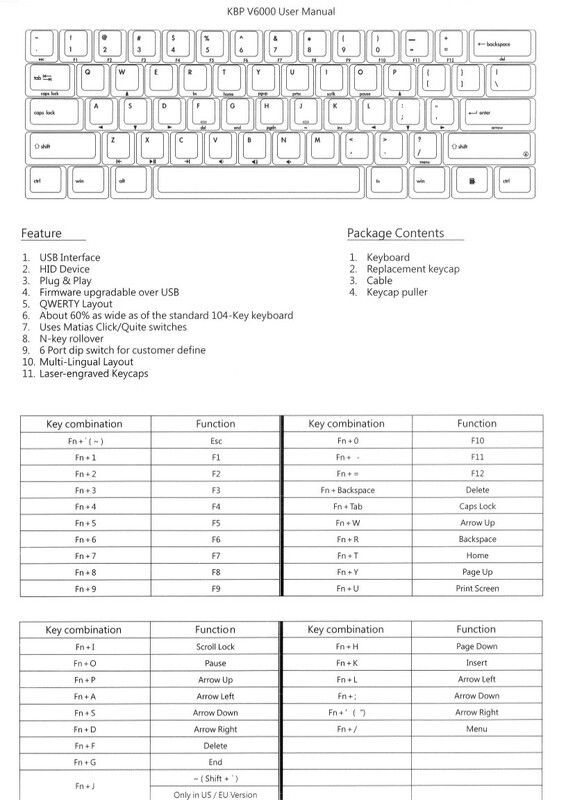 The manual provided (JPG) with the keyboard has a full list of the various Fn key combinations, and these are also printed on the keys themselves. Apart from the keyboard and manual, you’ll also get a Mini USB cable, a key puller, and a selection of alternate keycaps. The keyboard has six DIP switches on the bottom right side, allowing you to swap the position of various modifier keys like Fn, Ctrl, Win, Alt, Tab and more. You can use these to mimic that of native Mac or *nix keyboard layouts and more easily access the Fn layer. 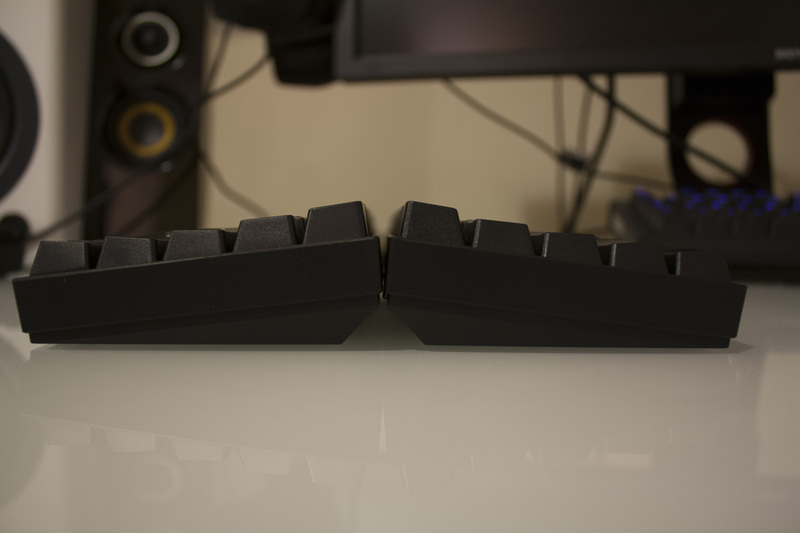 The bottom of the keyboard also has some rubbery feet which anchor it very well to the desk, given its size. The first keyboard I tried was the MX Clear version, as it was my first encounter with the switch. The MX Clear switch is essentially a more forceful MX Brown, a tactile switch that actuates at around 55 cN of force compared to 45 cN on the Brown. 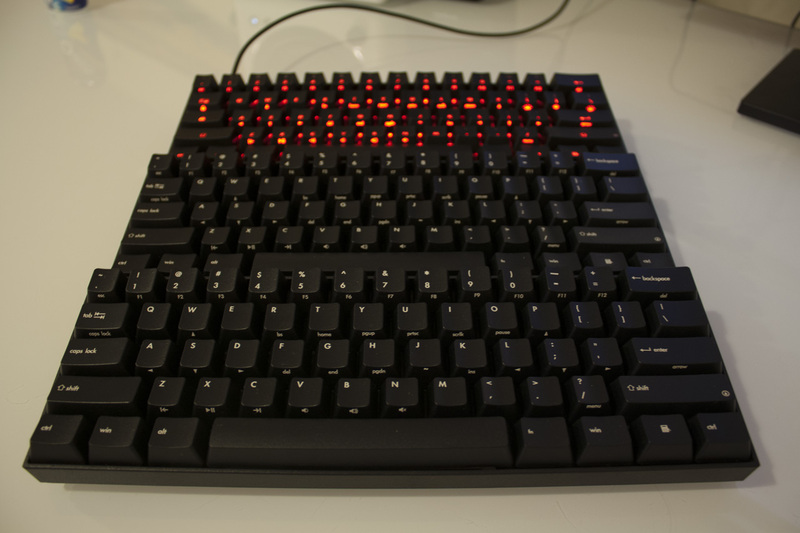 The real advantage of these switches is that they make it harder to bottom out, allowing you to adopt a less tiring and more efficient typing style. 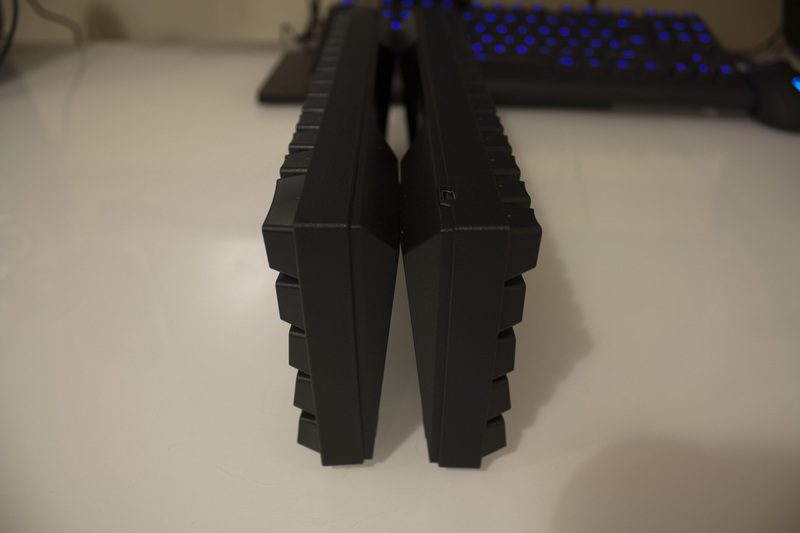 While it takes more force to press down, the switches also return to their original position faster. It’s an interesting feeling for sure, and one that I’d definitely recommend as a trial for anyone that is a fan of the more common Brown switches. 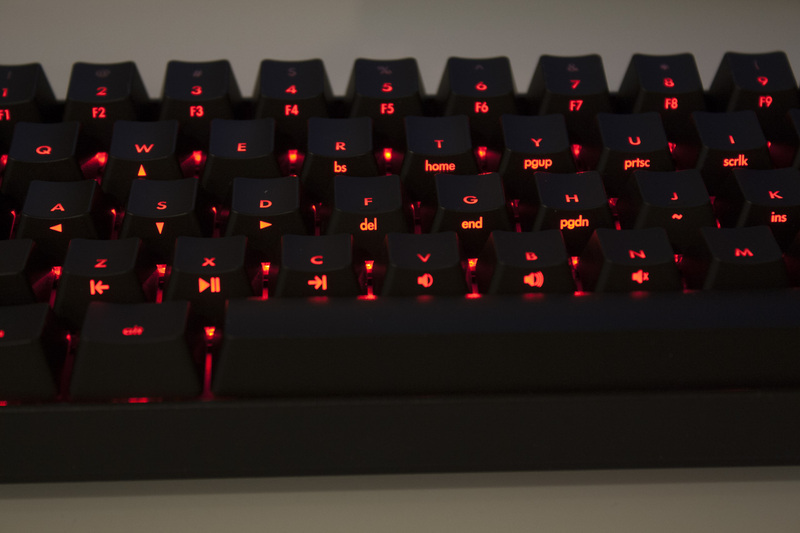 The dual-colour backlighting of the MX Clear model also looked awesome, and definitely proved its worth during late night writing. While I’ve used the Matias Click and Quiet Click on Matias’ own keyboards, this was the first time I’d used them on a 60% size keyboard. I found their inclusion to be absolutely excellent, with the same feeling of tactile response as Matias’ own keyboards. 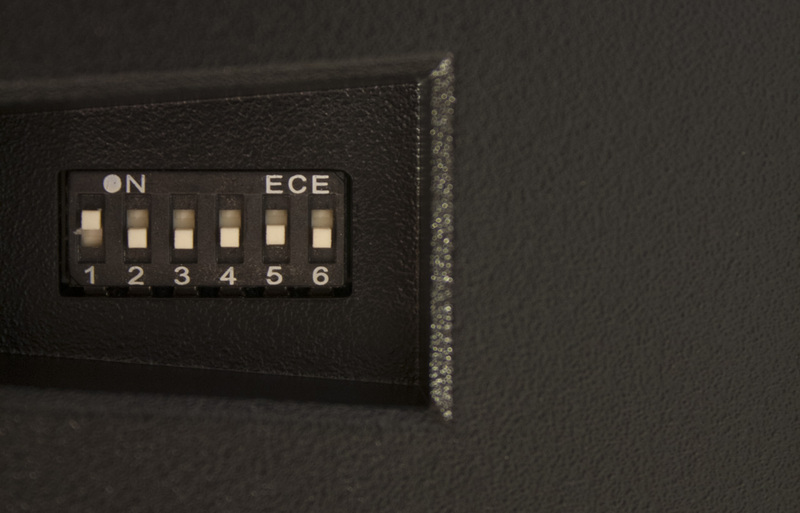 The Quiet Click switches were dutifully quiet and worked well for working in public, while the Click switches were brilliant for clacking loudly and proudly at home. Given the portable nature of the V60 I think the Quiet Click switches make the most sense, but all three are viable options. 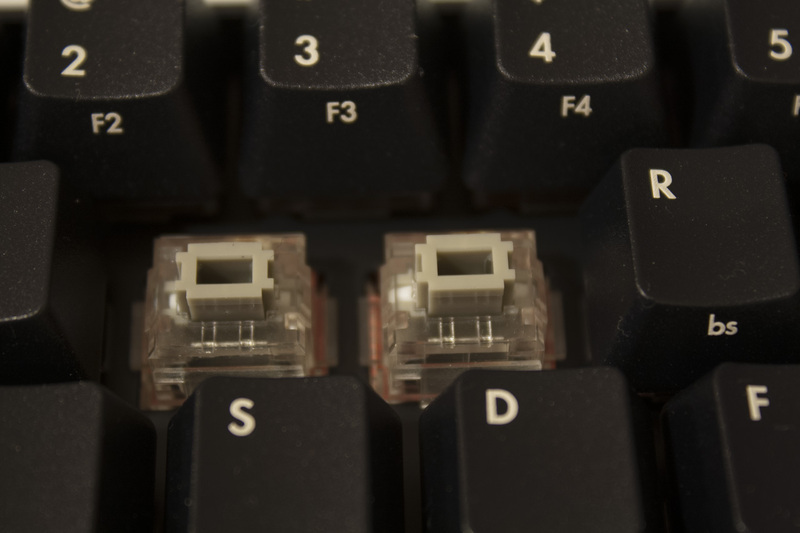 The DIP switches allowed me to get another Fn key on the never-used Caps Lock, and that made accessing the arrow keys and media controls much easier. The other keys – F1 to F12 and the navigation cluster – were used less frequently and I didn’t mind their move to the Fn layer. When moving to a Mac, I also appreciated the rapid switch to Mac-style modifiers with just the flick of a switch. The small size and low weight of the V60 Minis made them easily portable, and excellent companions to tablets or even smartphones via a USB OTG cable. The keyboard was also great for LAN parties, taking up minimal space and weight in my bag yet delivering all of the keys necessary for games like Counter-Strike, Civilization V and Rocket League. 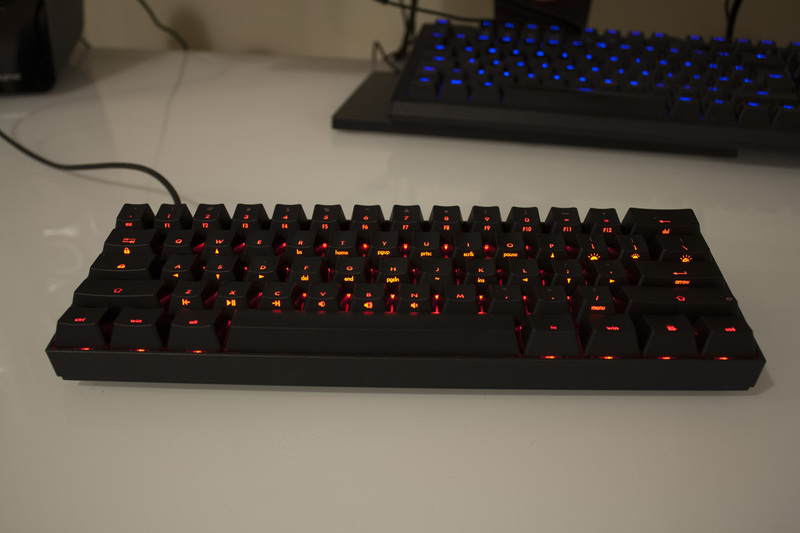 The choice of Red or Blue backlighting on the MX version was also a useful addition for late-night gaming. If you’re looking for a low-cost keyboard for taking with you to work – or on holiday! 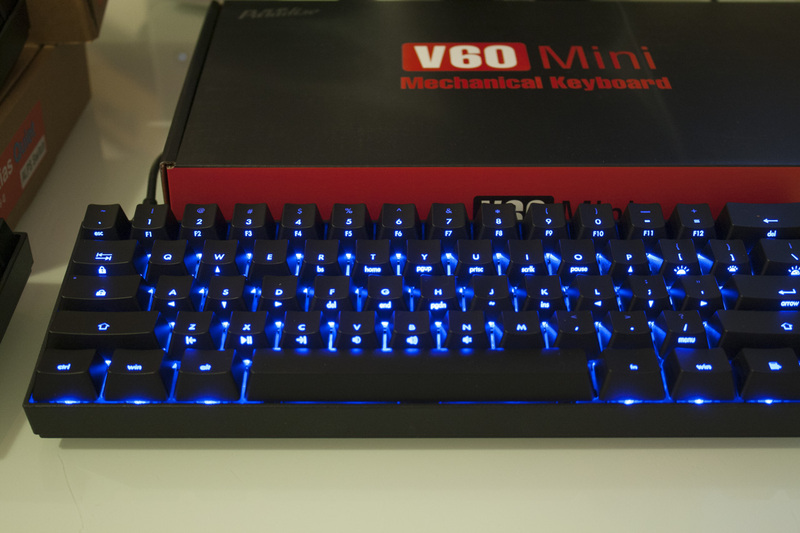 – the the V60 Mini is an awesome choice that provides all of the fun of a full-size mechanical keyboard but in a much more portable package. Heavy writers or number crunchers will probably want a TKL or full-size keyboard as their primary, but as a cute secondary the V60 is so much fun. Thanks for checking out the article. Be sure to let us know what you think on the comments below, or contact us on Twitter or Facebook!